I like to think I am a fair-minded and reasonable critic who always endeavours to see the best in performers and find something to enjoy in all music. 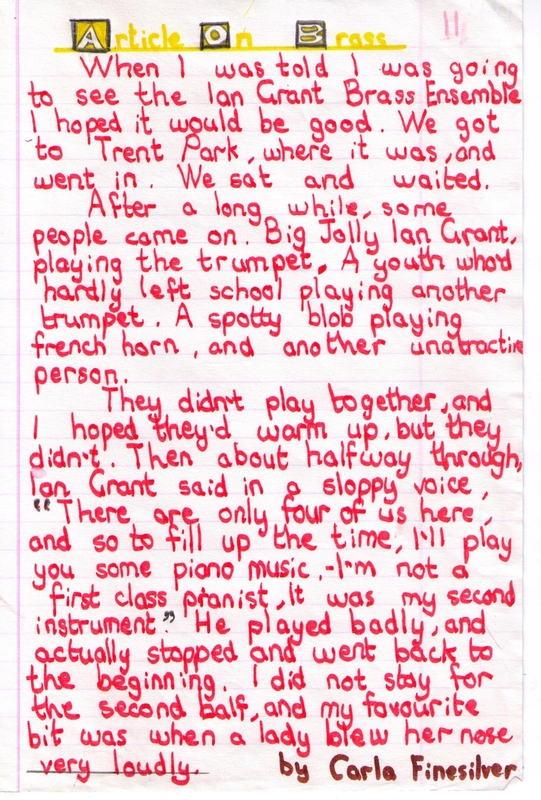 Here is my first concert review, written for my primary school magazine when I was 8 or so. My dad used to take me to concerts quite a lot when I was little, which I loved. But clearly not this one.